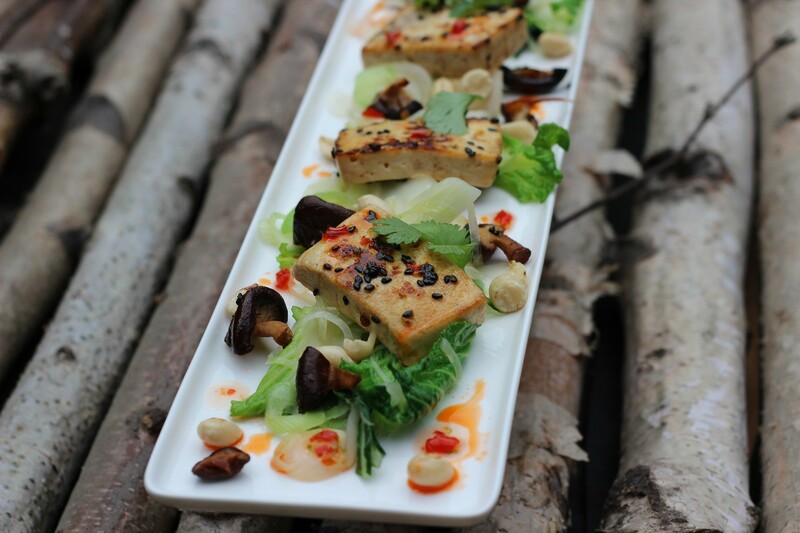 A fresh product made from the milky liquid extract of soy beans, tofu is a food whose taste grows on you. Its gelatinous and yet firm consistency, which is not unlike that of a flan, can come as a bit of a surprise the first time, but is pleasant once you pop it in your mouth. As for its flavour, which is rather insipid in itself, it can be modified at will because tofu absorbs all the flavours of the foods that it is prepared with. I propose to you marinated tofu that is sautéed with vegetables and shiitake mushrooms (which can be replaced by any other mushroom, if need be). Originally published in the Journal de Montréal on July 8, 2006.